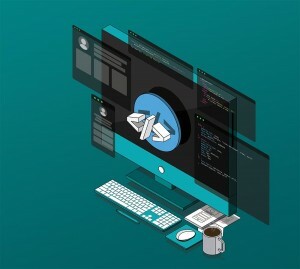 Node.js is a tool used in different ways in a variety of workflows and for a variety of purposes such as Front-end, back-end, APIs, robotics, APIs, and much more. Node.js has been one of the best tools to build small, modular tools to make developer’s lives easier. In this article, we have collected a list of different modules that a developer can install globally on their system to help improve their development workflow. Create React App is a project to spin up a boilerplate application with React in just one command. It frames the fundamentals of React application with the necessities, including development tooling and a local server, out of the box testing, and a build step to prepare the React application for production. Branch-diff is a CLI tool that diffs two branches in a Git repository and produces a list of differences between two passed branches. The list can either be output as markdown or as console output. This small tool is useful when the developer is working across multiple branches and are looking to get a summary of the differences between the two branches. Nodemon is a small utility that will automate restarting a Node.js application when it detects a file change in the directory it runs in. Nodemon is a simple CLI tool that is exceptionally useful when working on a Node.js application and restating quickly – it will cut out the repetitive steps of switching to the terminal, ending the application’s process, and then restarting the application. Localtunnel is a helpful module that will expose an application running on localhost with a single command. For instance, if the developer is working with APIs and needs to provide a public URL, then the developer can use localtunnel to get an online, accessible URL without the need to deploy. Also, it is excellent for collaboration. NVM is a CLI tool which is exceptionally helpful for Node.js developers. It also allows version management of Node.js. This means the developer can download, swap, and test on any version of Node.js. This is handy for testing modules on the current release line, in addition to the LTS release lines. NODE.JS Handy Utilities for Node.js by admin. We often find that Django developers exclusively those new to the framework and even some advanced users choose to use function based views for most projects. This can be attributed firstly to the simplicity of using FBVs and a lack of understanding of the great advantages of using Class Based Views. In this article we will be highlighting some of the major advantages and the features of CBV. Code reusability – In CBV, a view class can be inherited by another view class and altered for a different use case. Code extendibility – CBV can be extended to include more functionalities using Mixins. 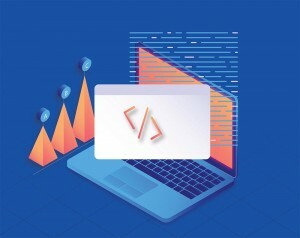 Code structuring – In CBVs a class based view helps the developer to respond different http request with different class instance methods instead of conditional branching statements inside a single function based view. Django class based view provides a class instance method as_view() which serves as an entry point for any generic CBV. Django URL resolver expects to send the request passed through it to a function. The as_view() class instance method in each generic view creates a hook for calling the class just like a method. The as_view() method then calls the dispatch() method which in turn calls the class instance method defined for the applicable http request method if available or throws an HttpResponseNotAllowed exception. | | | | and so on. Base class attributes can be overridden in child class as with the standard Python approach. Instead, the new attribute can be passed as an argument to the as_view() method of the CBV. One of the benefits of using a Class based view its extendibility, this quality is further improved through the use of Mixins. Mixins are a form of multiple inheritances that lets the combination of behavior from multiple parent classes. They are used to add additional functionality and behavior to classes. Mixins are intended to be inherited and not implemented directly. In CBVs Mixins are passed as leftmost argument while Django generic view classes are placed to the right. Extending a class view with multiple Mixins can lead to some unforeseen behavior. However, if used with caution, mixins are great tools for adding robust functionalities to a CBV. The methods defined in the mixin can be called directly in the FreshViewClass class. Django Django developers by admin. AWS / Heroku are both free for small hobby projects (to start with). If you want to start an app right away, without much customization of the architecture, then choose Heroku. If you want to focus on the architecture and to be able to use different web servers, then choose AWS. AWS is more time-consuming based on what service/product you choose, but can be worth it. AWS also comes with many plugin services and products. Has built-in tools and architecture. Limited control over architecture while designing app. Deployment is taken care of (automatic via GitHub or manual via git commands or CLI). Versatile – has many products such as EC2, LAMBDA, EMR, etc. Can use a Dedicated instance for more control over the architecture, such as choosing the OS, software version, etc. There’s more than one backend layers. Elastic Beanstalk is a feature similar to Heroku’s PAAS. Can use the automated deployment, or roll your own.